United States Champion R-Truth is finally back on SmackDown Live and he decided to hold an open challenge. However, not one but two luchadors answered the call as both Andrade and Rey Mysterio came down. Truth asked himself, “What would John Cena do?” and decided that a triple threat was in order. The match was a highly competitive affair as Mysterio and Andrade had excellent chemistry as usual and R-Truth displayed his underrated in-ring prowess. 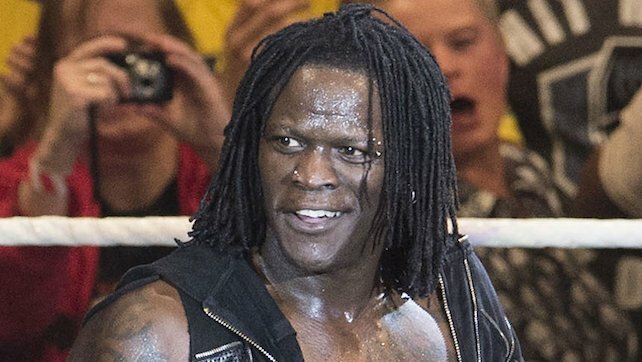 R-Truth took his motto seriously as he even hit a Five Knuckle Shuffle on Andrade. The end eventually came after Mysterio tried to hit a double 619 on Andrade and Truth, but the champion dodged and managed to get a roll-up victory. After the match, Andrade attempted to attack Mysterio. However, the veteran avoided the attack and the younger luchador exited the ring with his manager, Zelina Vega.